Today, every traveler to Palau is required to sign this passport eco-pledge before he or she can enter this environmentally fragile country. 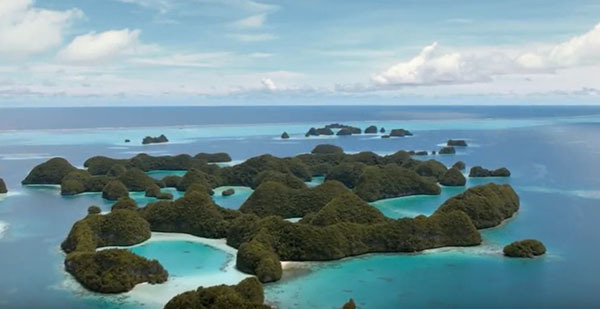 Recently, other nations have taken similar measures, but Palau’s may be the most poetic—and why I think it is deserving of some singular praise. Before even getting to Palau, however, inbound visitors are shown an in-flight film titled The Giant. It’s presented to you, below. This short movie tells the tale of a clumsy, careless giant—an emblem of mass tourism at its worst—who comes to Palau, wreaking environmental damage, such as stepping on coral reefs and stuffing his pockets with shells. 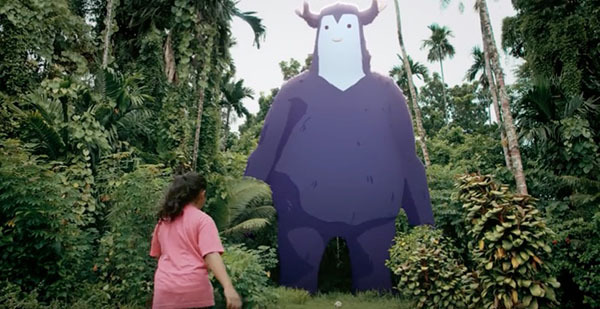 The giant doesn’t intend to hurt the people of Palau and their home; he just doesn’t know his own “strength.” The local children befriend him and teach him to become eco-aware, telling him that if he keeps trampling, chasing and snatching, everything he loves about their home—and what they love about it—will be gone, never to return. In 2018, the film won prestigious awards from the Cannes Lions International Festival of Creativity. I think the movie’s allure and power come from the fact that the giant’s message is about more than just Palau. I believe it’s a memo to all of us about how we should behave, no matter where in the world we go. 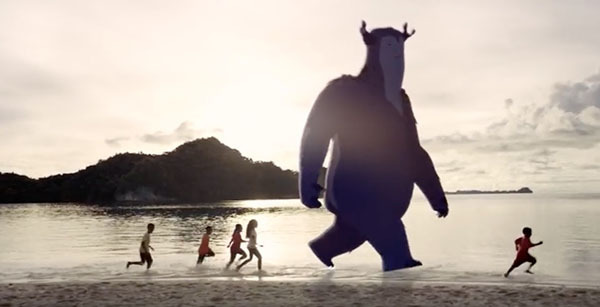 For, as the film points out, even our very small acts can have “gigantic” effects. “Small acts have big effects”… inspirational video! Thank you, Laura Jean Heishman! Another great video on the subject.—C.G.A.